The NFC as it currently stands has one objective: make the playoffs go through anywhere but Seattle. This is easier said than done. Seattle has everything going for them and it doesn’t appear they’re going to experience any kind of Super Bowl hangover. So what of the contenders? Like I said, all challengers need to win as many games as possible to avoid playing in CenturyLink Field come January. Green Bay and New Orleans have the look of teams that can do it, but that is going to come down to whether or not Seattle actually loses a enough games to make this an option. I think they’re THAT good. Here’s how I see the NFC shaking out, and some of the playoff picks (and omissions) might surprise you. 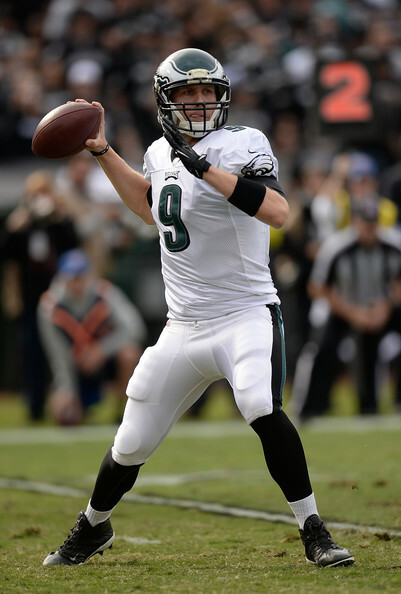 Philadelphia Eagles (2013: 10-6, 1st in NFC East)- I put the Eagles first because that is here they finished last season. I believe they can win the division again, but I also believe the winner of this division will be by default. Chip Kelly did a great job guiding this team to a 10-win season year one. His offense translates to the NFL and he showed he can hang with the big(ger) kids. What he will need to show now is whether or not his team is capable of making adjustments now that the other 16 teams they’re going to play have NFL tape on them. Additionally, the defense the Eagles defense this preseason was atrocious and lacks an impact playmaker on the line. In a division in transition the Eagles still hold the upper hand because they can out score anyone. Just don’t make any bets the Super Bowl champions are coming from the NFC East. New York Giants (2013: 7-9, 3rd in NFC East)- As bad as the Giants started the year in 2013 and as awful as Eli Manning has looked guess what? They figure out ways to win. Did anyone notice that after starting the season 0-6 the Giants finished the year 7-3? Anyone notice that with all the noise about looking lost on offense during the preseason they went 5-0? By my count that’s 12-3 in their last 15 games played. Say whatever it is you want about the Giants, they have a defense that is improved, the offense will only get better under new offensive coordinator Ben McAdoo, and this is a very winnable division. Don’t be surprised if they’re right there at the end of the season. Washington Redskins (2013: 3-13, 4th in NFC East)- I have a buddy I give fits about Robert Griffin III. I have my reasons. He’s looked better in commercials and documentaries than he has on a football field. “but he’s recovering from an ACL injury!” That excuse is SO 2013. I like RGIII, he can be one of the most dynamic players in the NFL and we saw that when he broke on the scene. But it isn’t how you start, it is ALWAYS about how you finish. Right now he needs to get his head in the playbook and realize that if he isn’t careful a player, who isn’t half as talented as he is, could very well supplant him as the starter in D.C. Things are THAT serious. Dallas Cowboys (2013: 8-8, 2nd in NFC East)- If the Cowboys finish last what are the chances Jerry Jones fires himself as GM of the Cowboys? Credit to Jones for building an offense that could put up a lot of points in 2014, but his ignorance on defense has to be maddening to just about every Cowboys fan in the country. Top it off with the fact that he now has to watch Demarcus Ware rack up sacks in Denver because he didn’t realize the nuances of a cap he spent time negotiating and things are going to get bad faster than they get better. It will take a modern miracle for this team to make the playoffs much less compete for the division. Green Bay Packers (2013: 8-7-1, 1st in NFC North)- Aaron Rodgers. All conversation about this Green Bay team starts and ends there. His performance on Thursday against the Seahawks was admirable in defeat. With that behind them I see an MVP season in his cards and a division title as well. As long as the defense can help (Julius Peppers is a great addition) and the running game stays healthy the Packers have the best shot in the NFC North to do serious damage. Chicago Bears (2013: (8-8, 2nd in NFC North)- Prolific offenses are foreign concepts in Chicago. Just ask the Cubs and White Sox (too soon?). All kidding aside, remember when the Bears couldn’t find a wide receiver in North America worth anything? Now they have weapons galore in Marshall, Jeffery, Forte, and Bennett. Jay Cutler has a chance to put together the kind of season we’ve been waiting years for from him. The defense will be the key to whether the Bears are a playoff team in 2014. If they get their secondary figured out (and in this division that is a necessary thing to do) they have a shot. Detroit Lions (2013: 7-9, 3rd in NFC North)- Clearly I’m not impressed by what Detroit has done so far, right? Every time I bring up Detroit I hear the same song and dance: Stafford, Megatron, Bush/Bell, and now Eric Ebron. Okay, the addition of Joe Lombardi is great as long as he can get Stafford to finally understand the value of what good footwork can do for a generational throwing arm. But what about the defense? When am I going to see all the names on that side put it together and become truly dominant? When are Suh, Fairley, and the gang going to realize they are the best group on the field for more than 25 snaps? Until they do I can’t put them ahead of the Bears or Packers. If Jim Caldwell can get more out of them than Schwartz (a defensive minded coach, mind you) then I’ll reconsider after the first half. For now this team is good for fantasy purposes only. Minnesota Vikings (2013: 5-10-1, 4th in NFC North)- Adrian Peterson definitely deserves better than what has gone on in Minnesota thus far. The Vikings are headed in the right direction; I like their hiring of Mike Zimmer from the Bengals and Teddy Bridgewater appears better than expected out of Louisville. Norv Turner is still a genius on offense and has weapons (Cordarelle Patterson, Kyle Rudolph, and others) at his disposal. The Vikings won’t lose ten games in 2014, but they are another year or two away from putting it all together for a run at the top of the division. Competitiveness aside, this is a seven win team at best with the potential to hit 8-8 if they play their cards right. New Orleans Saints (2013: 11-5, 2nd in NFC South)- I think it would be an understatement to say the Saints are loaded in 2014. Their offense still features Drew Brees and Jimmy Graham, but with Marques Colston, Kenny Stills and newly drafted Brandin Cooks I think the loss of Darren Sproles won’t be felt quite as much. What makes them the outright favorite is the improvement on defense. Jarius Byrd helps strengthen a defense that already gave up the fourth fewest points in the NFL last season. Seattle is still the team to beat in the NFC, but the Saints are right there should they miss a step somewhere along the way. Atlanta Falcons (2013: 4-12, t-3rd in NFC South)- Mike Smith and Matt Ryan can’t get the season started soon enough. Last year’s 4-12 showing after an NFC Championship loss in 2012 left the bitterest of tastes in the Falcons mouths. They’re banking on healthy returns of Julio Jones, Roddy White, and Steven Jackson on offense to get things going in the right direction. They will also need their defense (27th overall in 2013) to get more physical and get the opposing offenses off the field on 3rd downs. Mike Tice and a revamped offensive line should give their franchise quarterback more time to make plays, but lets not kid ourselves: the Falcons could very easily duplicate their 4-12 year last year if things don’t fall for them. Carolina Panthers (2013: 12-4, 1st in NFC South)- Carolina surprised many with their run to the NFC South title in 2013. Cam Newton played up to expectations and their top-3 defense was the perfect recipe for success for them. So they did what any division winner would do during the offseason: jettison their entire receiving corp and not improve at all on the running back situation they went into the season with last season. I am of the belief that the receiving “gloom and doom” facing them is a bit exaggerated. Will it be best in the league? No. But they weren’t world beaters last year, either. What worries me most is the run game still leaning on DeAngelo Williams and Jonathan Stewart, and Cam Newton taking hits because of the necessity for him to make up for it. The defense should be good again, but their secondary still has holes. Regression is in store for the Panthers but they could contend for the Wild Card. Tampa Bay Buccaneers (2013: 4-12, t-3rd in NFC South)- Hard to believe with the collection of talent I have them fourth but that is more an indictment of the division/conference than it is of the Buccaneers. Lovie Smith gives them stability where it counts on the sideline, I’m just not so sure Josh McCown is the man to lead them at quarterback. I liked what Glennon did at quarterback so there’s a chance he could take the job back, but this team is a year away for me in a tough division and little depth on both sides of the ball. Seattle Seahawks (2013: 13-3, 1st in NFC West)- I should have stuck with my gut last season before the Super Bowl. I KNEW Seattle was the better team and still got all mushy for the Peyton Manning narrative. Not this season. The defense is still loaded, they’re well coached, and I’ll crush any argument you can think of when you try to label Russell Wilson a “game manager” and not one of the best quarterbacks in the NFL today. If the NFC has to go through Seattle in the playoffs there is absolutely nothing stopping them from a return visit to defend their title in 2014. San Francisco 49ers (2013: 12-4, 2nd in NFC West)- I didn’t have the 49ers making the playoffs in 2014. Before you go cursing me out let me explain. Everything pointed towards a 49ers team that might not be catching up with the times in their division. Frank Gore can’t do it forever (or can he? ), their defense took hit-after-hit in the offseason (Bowman, Smith, Macdonald, oh my! ), and the Cardinals and Rams looked like they had everything going in the right direction. Then Sam Bradford tore his ACL again and the Cardinals lost Darnell Dockett and (possibly) Andre Ellington for extended time. San Francisco’s offense is built around Colin Kaepernick and their additions in the offseason (Stevie Johnson, Bruce Ellington, Carlos Hyde) show it. This is his opportunity to prove what a lot of us see: that he can be a top-5 player in the NFL. He can’t flounder because a playoff berth hinges on what he does under center. Arizona Cardinals (2013: 10-6, 3rd in NFC West)- I like what Bruce Arians is working with out in the desert. I think his offense can be one of the best in the league and, yes, the rumors of Michael Floyd breaking out in 2014 is a real thing. Andre Ellington could miss a month and Darnell Dockett is out for the year. That kind of hit could be huge for a Cardinals team that could ill-afford any in the loaded NFC West. Ten wins are still the goal for Arizona, but it will be tough for them to compete even with all-world cornerback Patrick Peterson. St. Louis Rams (2013: 7-9, 4th in NFC West)- They were my dark horse in 2014. They had it all, really. A defensive line even the Seahawks would envy, Sam Bradford back and healthy with weapons, the coach with the know-how to get them over the hump. They. Had. It. All. Then Sam Bradford tore his ACL again and everything went up in the air. It’s odd to think that a quarterback that has missed more time since being drafted than he’s played could be that important but he is. Now the Rams will pin their hopes to (first) Shaun Hill and that defense I’m still high on. I’ve seen crazier things happen, but in this division I can’t see the Rams overcoming instability at quarterback.